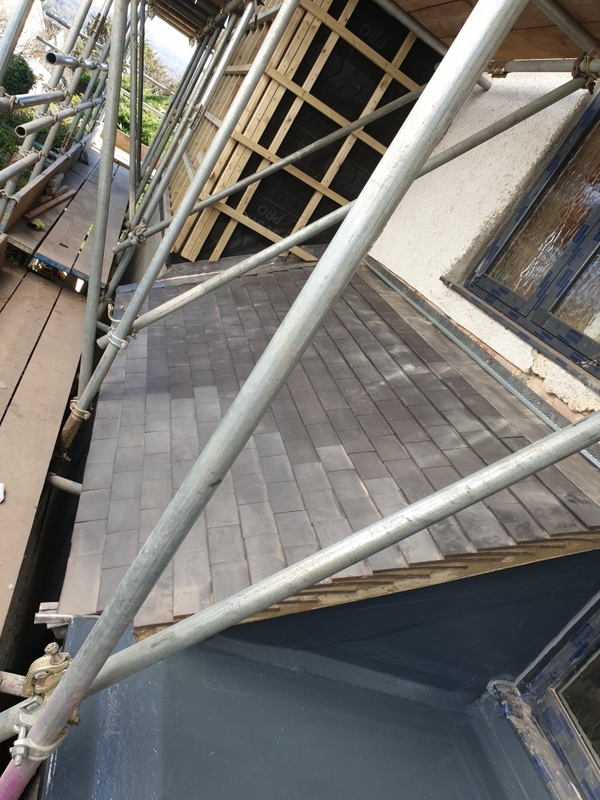 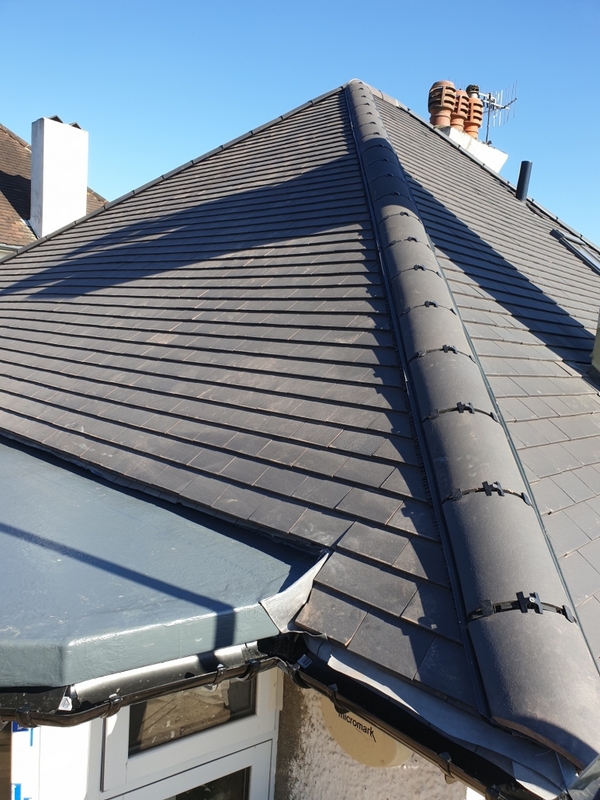 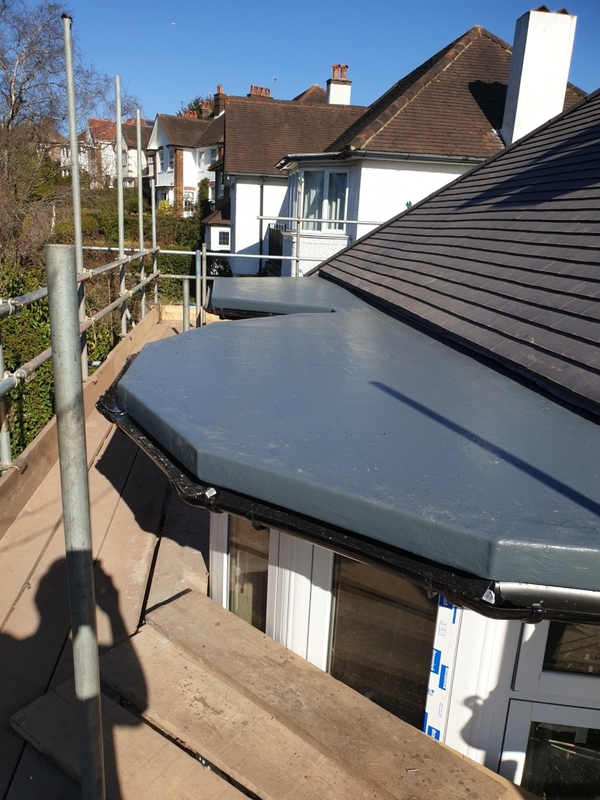 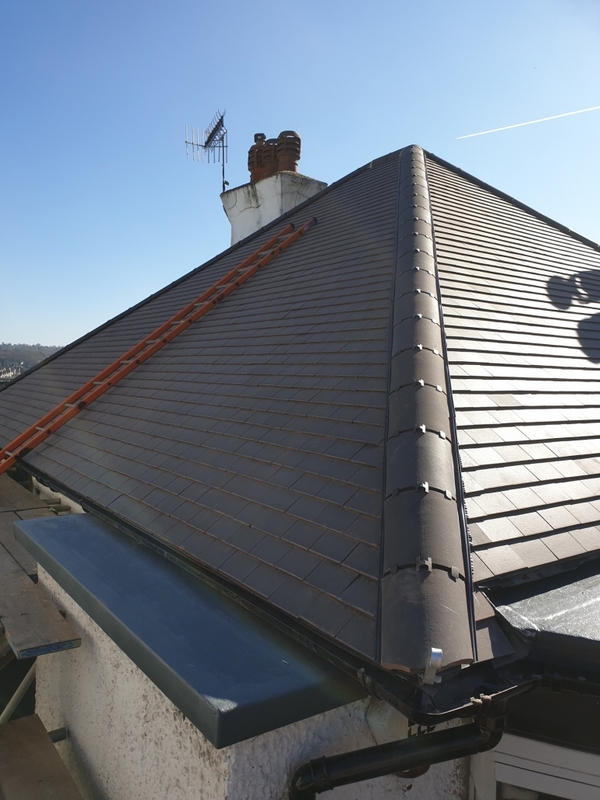 In this project we installed a new clay tiled roof, GRP flat roofing and new UPVC fascias, soffits and gutters to this home in Pampisford Road, Croydon, Surrey. 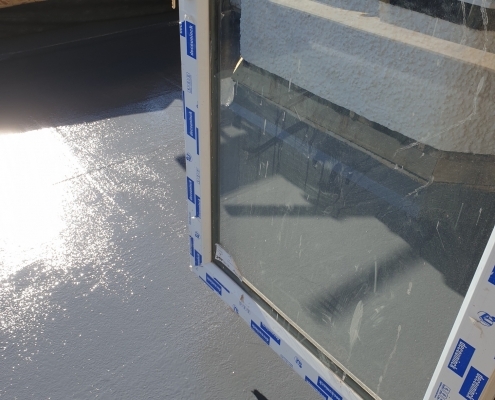 Carried out Final inspection and site cleanse. 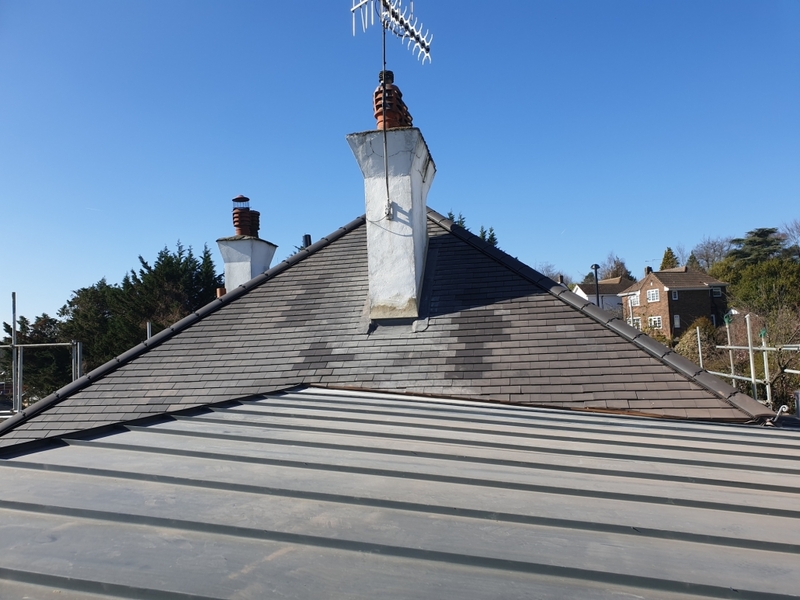 CFRoofing was asked to carry out a home buyer’s survey report on the roof condition at our clients request at this property that they wanted to buy early last year. 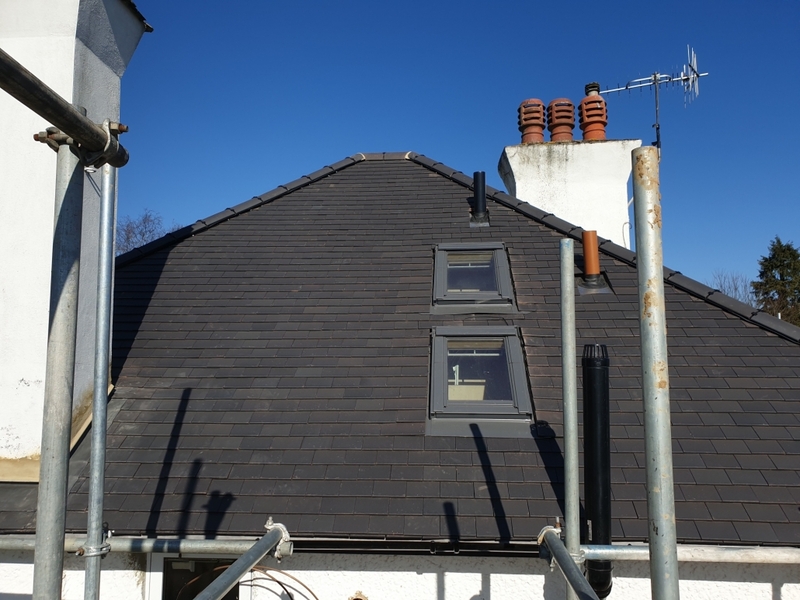 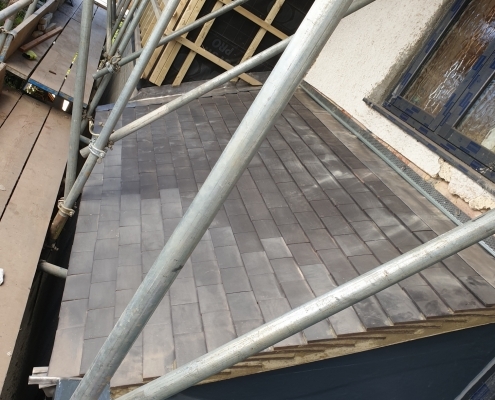 We carried out the inspection using our Sky Camera and produced a report with photos that highlighted the problems with the main tiled roof and all the small bays, which were in a bad state of repair. 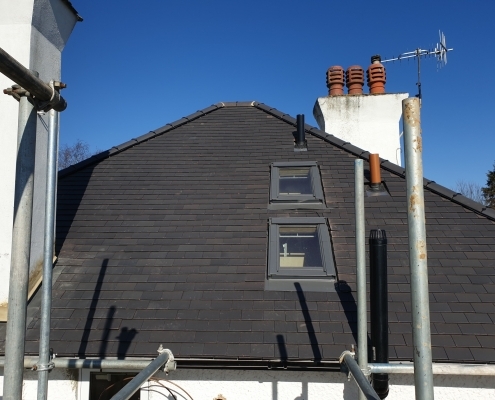 Our clients took our advice and negotiated a reduced price based on the cost of the works required to bring the property up to a good state of repair. 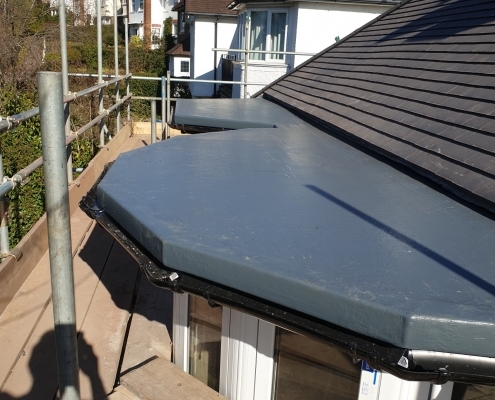 As you can see from the photos, we renewed all the Fascia Soffits and guttering with new UPVC. 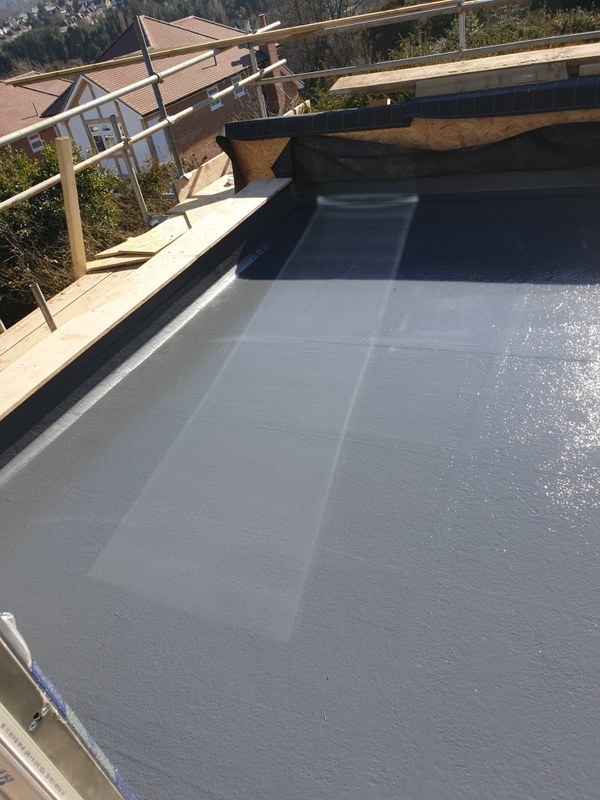 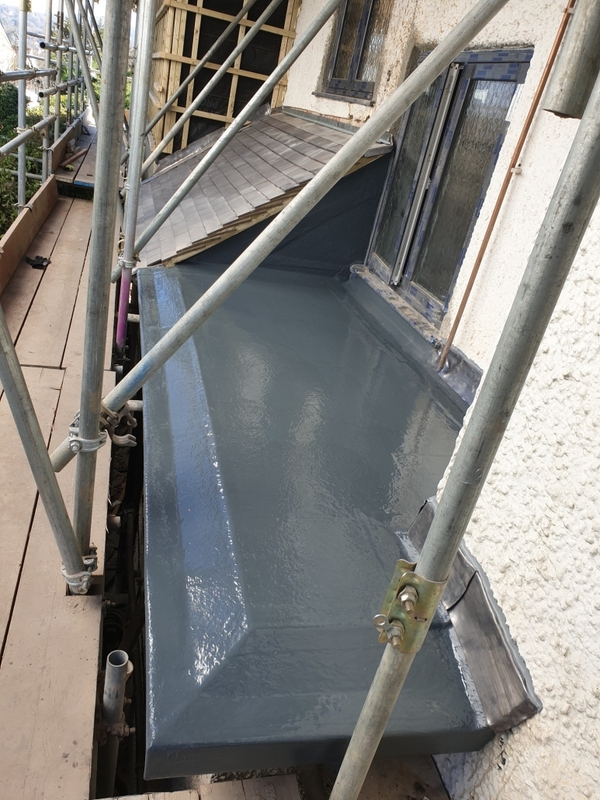 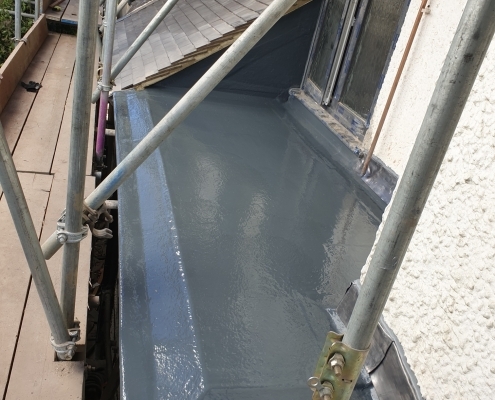 We also stripped back the flat roofs and renewed the timbers and decking with Scott Bader GRP glass fibre waterproofing. 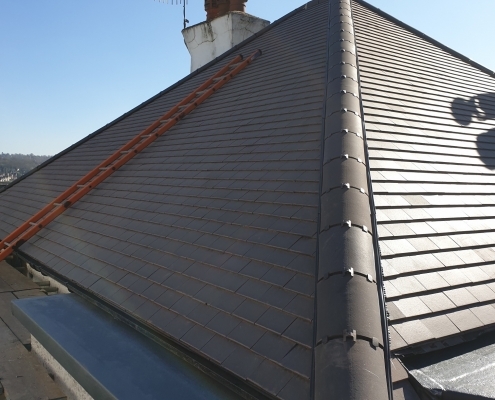 Our client also instructed us to renew the old tile roof and replace it with good quality clay tiles. 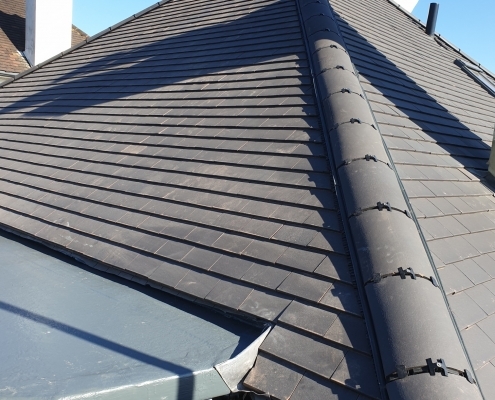 Our client was very happy with the work we did and agreed to leave us an excellent review on Checkatrade.Com. 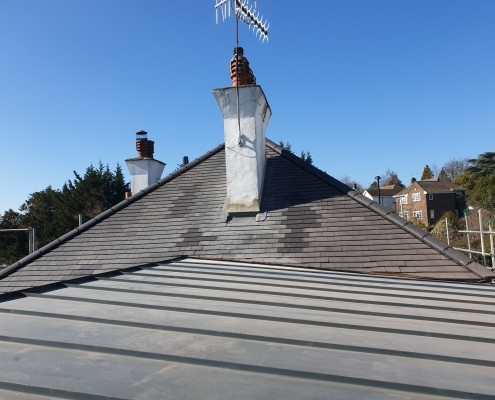 It has added value to their property and has been a great investment. 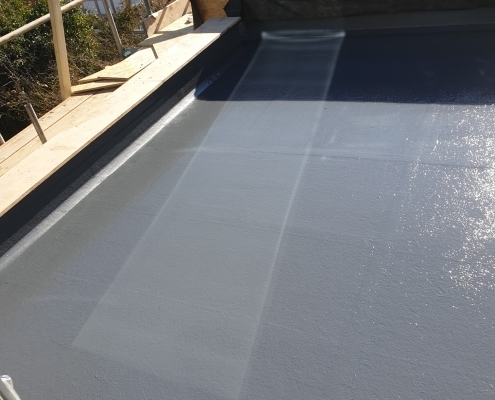 Especially as they saved the cost of the work by negotiating a reduced purchase price. 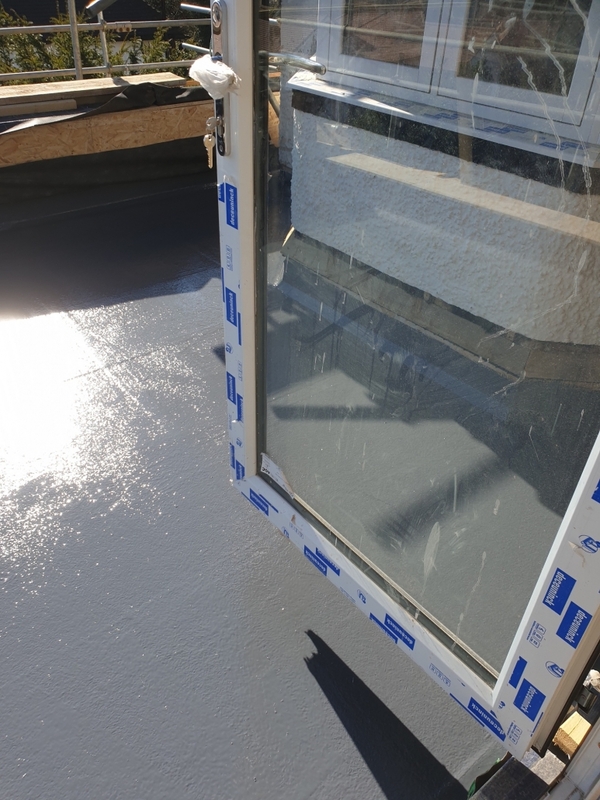 We hope they are very happy in their new home.